We dare to dream because we have what it takes to make a big idea — a reality. 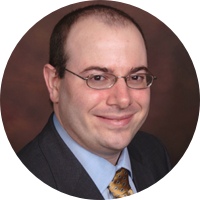 Harlan is a cardiologist and the Director of the Yale-New Haven Hospital Center for Outcomes Research and Evaluation. He leads initiatives to improve the quality and outcomes of clinical decisions and healthcare delivery, reduce disparities, enable transparency in practice and research, and avoid wasteful practices. His team has led national improvement initiatives, architected national measurement strategies, developed a platform for research and clinical care improvement in China, promoted patient-centric approaches to research and care, and created strategies and tools to enable open science and advance scientific integrity. He led the Robert Wood Johnson Foundation Clinical Scholars Program at Yale for more than two decades. He founded the American Heart Association Quality of Care and Outcomes Research Council Annual Conference, and was the Founding Editor of Circulation: Quality of Care and Outcomes Research. He is a member of the National Academy of Medicine and a Founding Governor of the Patient- Centered Outcomes Research Institute. He has published more than 1000 articles and has an h-index of 178. Dr. Krumholz received a BS from Yale, an MD from Harvard Medical School, and a Masters in Health Policy and Management from the Harvard University School of Public Health. Leslie is a social entrepreneur who has spent decades working in the non profit sector focused on education and community development. Prior to joining Hugo, Leslie was founder and CEO of GoodStreets — one of Connecticut's first Benefit Corporations, a “Connecticut Tech Company to Watch” and recipient of the reSET Social Enterprise Award. Leslie was co-founder and director of two educational non-profit organizations and has provided leadership in transitional programming, fundraising and curriculum development for multiple community organizations. Leslie has a BA from the University of Massachusetts/Amherst and a JD from the University of California, Hastings College of the Law. She is a Connecticut Tech Council Women of Innovation Honoree. 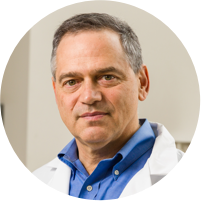 Wade is a clinical pathologist and physician scientist in the Department of Laboratory Medicine at Yale School of Medicine. His research focuses on computational healthcare, where he studies approaches to integrate, manage, and analyze large healthcare data sets, including real-time healthcare information, next generation sequencing, and other emerging healthcare data types. Dr. Schulz has led multiple big data and computational healthcare projects including the implementation of data science platforms, development of computer vision and artificial intelligence tools for physician decision support and dynamic modeling, and the integration and interoperability of electronic health record data. Dr. Schulz also collaborates on international initiatives that aim to use big data to improve population health and precision medicine, such as the China Million Persons Project. As Director of Technology at Hugo Health, Dr. Schulz leads strategic initiatives for technology research, development, and implementation. Dave comes to Hugo with a background in digital advertising. As Executive Producer at POSSIBLE, a WPP agency based in New York City, he led production efforts for multiple offices across the U.S. creating digital content and experiences for clients including P&G, the Intercontinental Hotel Group, Microsoft and many others. Prior to POSSIBLE, Hutten founded Sequel Media, a boutique digital media production shop to develop innovative media solutions for healthcare clients. Jess is recognized as one of the top 100 global CDOs, a "Power-Lady" of the German economy, and a leading Health Tech Influencer. She serves as an advisor for private technology companies, and is on the m-Powering Development Advisory Board for the UN Agency for Information and Communications Technology (ITU). Federer was the Chief Digital Officer and worldwide head of Digital Development at Bayer, a global life sciences leader in the areas of human, animal and plant health. Previously within Bayer, she held positions in Global Regulatory Affairs, Market Access, Communications and Public Affairs. She started her public health career as an analyst at AHRQ-DHHS. Federer earned a Bachelor of Science from the George Washington University, and a Master of Public Health from Yale.